Of all the months in the year, September is when I'm most likely to be gardening from dawn to dusk...and sometimes into the night. This is because I always take my annual vacation soon after Labour Day and spend much of it in my or my mom's garden. I develop a seasonal condition that I call "plant fever" in which emotions rule over reason. 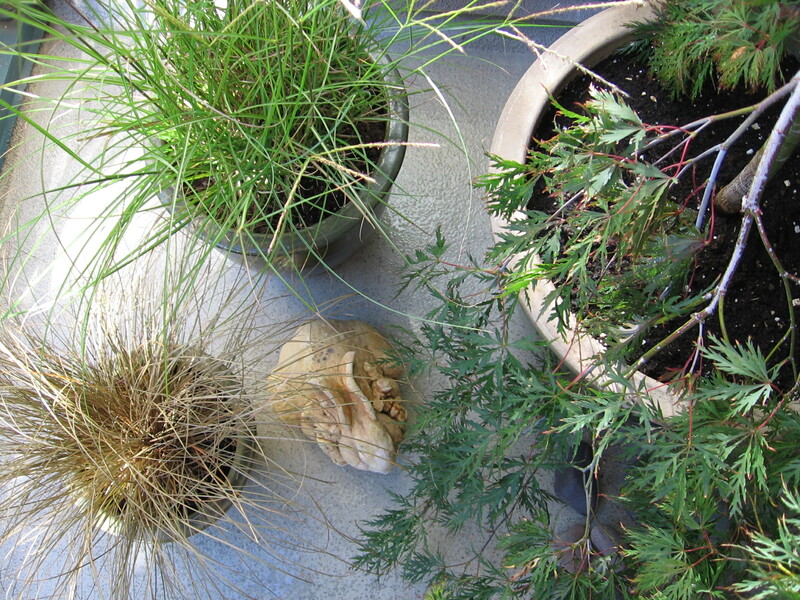 And so I need to confess I gave into temptation at the garden centre this past week: I purchased some plants I cannot eat -- although a sedge named 'Milk Chocolate' does sound appetizing, doesn't it? 10. and, finally, any of my ornamental plants have a future home in my mom's country garden when they outgrow my largest pots or I need more room for edibles. I hope I've justified myself. But honestly and quite seriously, I now realize I was overambitious thinking I could convert to 100% edible plants in one growing season, especially since I had such a late-spring start. A year from now, my goal is to have 4 edible plants for every inedible/ornamental (an application of the 80/20 rule I like so much--it's just so reasonable and achievable). And as I said when I started this blog, I am writing a chronicle of an experimental garden. I'm learning about myself as well as the plants I try to grow. And I know I will always need to reserve some space to feed my eyes with beauty as well my body with nutrition.